Welcome to Sable Publishing. Art Book Covers designed by Hyacinthe Kuller Baron, Creative Book Series. BOOKS IN PROGRESS: Future: Look for Non Fiction Color, Illustrated Books. Do you have chapters or poetry you would like to send us to read? Are you thinking of an Illustrated Poetry Book? Would you like to choose one of our famous artists to illustrate your book? New! Illustrated full color Poetry Books...Fantasy and Non Fiction Books! Submit your ideas and layouts. Thank you for contacting www.sablepublishing.com with your submission. We are overwhelmed with queries and unsolicited manuscripts due to the broad range of material we are interested in publishing as stated in our listing in the Writers Market and the Literary Marketplace and on our website. We would like to become more familiar with the material you are submitting to us but it is taking longer than we would like to get to each submission. So Publisher Steve Kramer asked us to develop an editing program that would eliminate the ever growing piles. We developed a CHAPTER CONTEST and a special team of editors to look over one chapter of your submission and to give you a brief critique and get back to you within a month. If you would like to hear something from our editors within a month please enter our monthly CHAPTER CONTEST. There is no limit on the number of entries you can submit each month. You can submit as many chapters as you wish separately. This will be an ongoing monthly event. 1. Submit one chapter of your unpublished novel or non-fiction book or a page of poetry or a sample short story.Don't forget a one paragraph synopsis and bio with your publishing history. 2. Please embed your text in the body of the E-Mail you send to: sablepublishing@aol.com. 3. Use separate E-Mails and submit as many different chapters as you wish. Poets! Interested in having your Poetry Book fully Illustrated by one of our premier artists? Don't forget to request information. Email us with your vision and tell us about your design. We are pleased that we can take some steps to get back to you in a more timely manner. Multiple Services use PAY NOW $1000.00. Thank you. Collection of Interior Designers suggestions and successes. A Story of Obsession and the fulfillment of dreams. Her photograph in the persona of The Happy Hour TV Hostess alongside celebrities, too numerous to name, were published in countless newspapers and magazines in NYC, Palm Beach, Las Vegas, Montauk, Palm Springs. Willa was a celebrity in her own right. The �HAPPY HOUR� TV Show ran for years and caught on film the most amazing and important social events of the days. She left an amazing legacy in the candid interviews she conducted in her enthralled style. She created her own myth and transformed into an icon of glamour. Cosmic Spheres, Matzoh balls, Meat balls and more space balls. Art of the Book Journals created by Hyacinthe Kuller Baron Feature Art Book Covers designed by the master artist. Sable Publishing makes a literary statement with a growing list of innovative classic Trade Paperbooks written by creative authors with stunning art on the book covers designed by famous artist Hyacinthe Baron. Sable Publishing publishes fiction and introduces New Genres: The Memoir as Art Mystery Series by Hyacinthe Baron, Humorous Horror by Shoshana Barer, Sci-Fi Fantasy by Jack Bentley, new mystery books, romance novels, self-help and creative arts books with "A Gallery of Fine Art Book Covers" that stop traffic in bookstore windows, counter and end table displays and lead to increased sales for booksellers and inspire to new levels of visual and literary excitement and appreciation of Sable Publishing Authors. 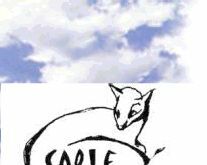 Sable Books feature Interesting literary content, easy reading formats, entertaining fictional characters, great stories, mysteries, romance, and enough schmaltz to warm the heart and mind. Sable Books from Sable Publishing are distributed by Ingram and available at fine bookstores and from booksellers on the world wide web. TO BUY PLEASE Go to Amazon.com, barnes and noble.com and other book stores. Visit Shoshana Barer Page To find out information about The Sammi Mitchel Mystery Series,and The Jewish MAVEN COOKBOOK, The Jewish MAVEN ON EVERYTHING A TO Z! and find out more about the new 20 minute short documentary film, 'LET ME TELL YOU A STORY!" now making the Film Festival Rounds world-wide. Visit HYACINTHE BARON PAGE To find out information about the three published books of The Art Mystery Series, Self-help and how to titles, about Sable Publishing Art Book covers: and to view a welcome from Hyacinthe movie. COME BACK AND VISIT US OFTEN. 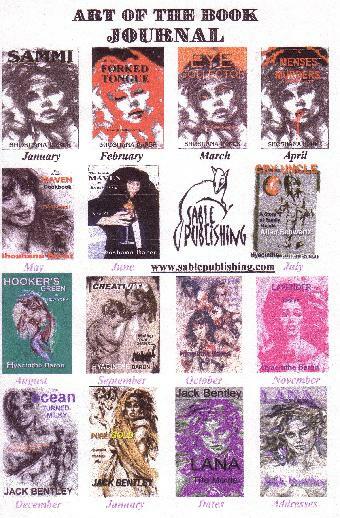 THERE IS ALWAYS SOMETHING CREATIVE GOING ON AS SABLE PUBLISHING CREATES THE ART OF THE BOOK AND THE ART OF FILM. A Story of Family Bonds. The story that could only be told due to the Internet! Allan Schwartz has a tear in his eye as the retired Supermarket Exec and NYC Restaurant owner, scene of the films Moonstruck, The Verdict, describes his new book written with his long lost niece. A young Uncle 13, and his Niece,8, forge a strong bond as children but are torn away from each other 5 years later during the depression years. How they discover their individual talents, succeed in their lives and discover each other 50 years later through email shows how the internet can be the tool to find a long lost voice of love.